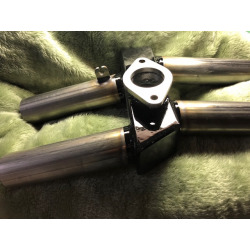 OUT OF STOCK, We are currently reviewing this product as it must be modified due to its length which seems to be 3" too long: A Universal Motion Pro Sudco Throttle Cable TMX TMS38 Mikuni VM30-38 TM32-38 Magura Duo Single Carb 50 657-902B 48" length. 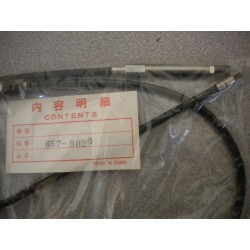 Most guys just modify their stock Cable by cutting off the extra Carb Cable end. 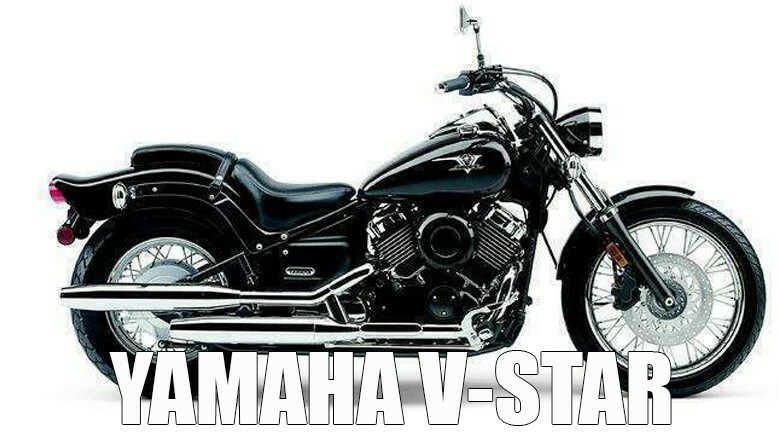 43mm single carb Steel Manifold with a single boot and a Mikuni TM40-6 series carburetor Designed to fit all Yamaha Virago XV700, 750, 920, 1000, 1100 and V-Star. 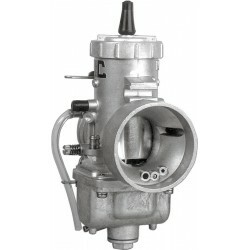 This larger TM40 Flat Slide Carburetor is best suited for Racing performance. 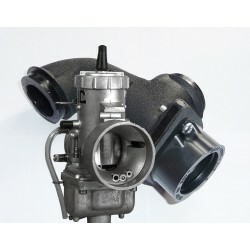 Genuine Mikuni VM30 Carb, Comes from the Factory with a 40 mm Pilot Jet and a 250 Main Jet which is ideal for the Larger Viragos 900-1100. 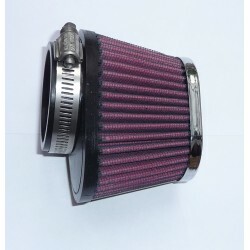 This very popular B&S Air filter for Mikuni VM and TM series carburetors.This is a filter similar to K&N filter. 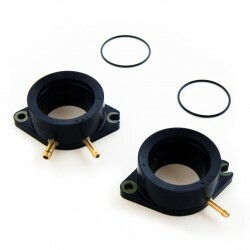 Perfectly fits Mikuni VM30 and Mikuni TM40 carburetors and is excellent for Yamaha Virago single carburetor conversions. 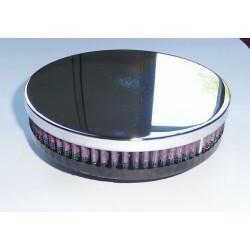 It measures 5" in Diameter by 1" Wide. 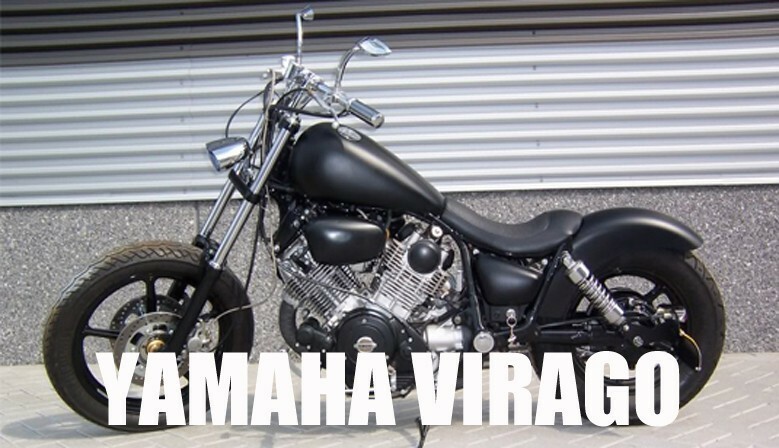 Popular Virago Bolt-on 40mm OD Boot (outer diameter) for the Mikuni VM30 series carb manifold with single boot. 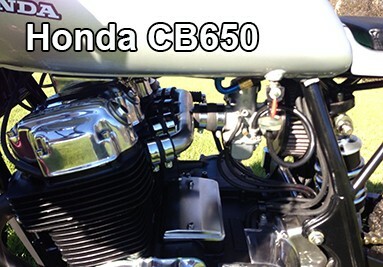 Does not fit stock Hitachi carb. 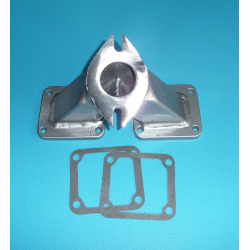 This is our all new 6061 Aircraft Aluminum Intake Manifold Designed to fit all Yamaha Virago XV700, 750, 920, 1000, 1100 and V-Star Fits most of carburetor holders with bolt holes distance between 60 mm to 76 mm. You asked for It and now here it is. 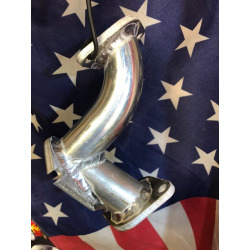 Light Weight Professionally Tig Welded Virago Single Carb Intake Manifold for 750 CC - 1100 CC No Carb Boot. 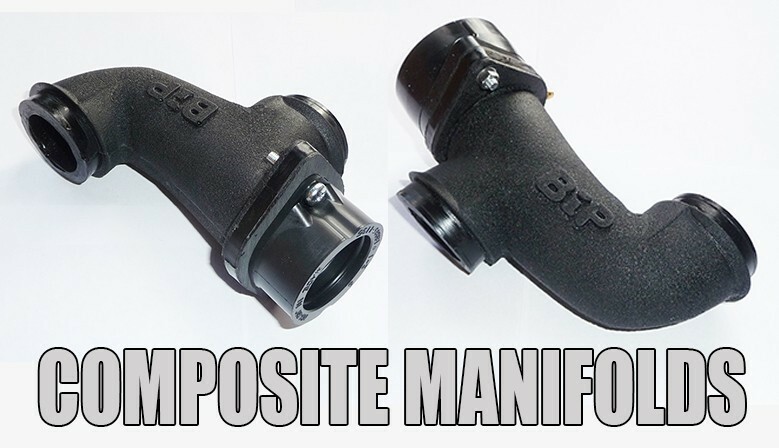 Look Closely at the Quality in this Manifold made in the USA by BIP. No Boot. 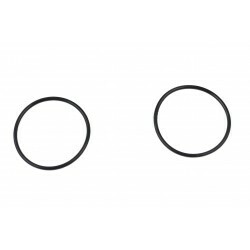 Bolt-on 50mm spigot OD (outer diameter) for the Hitachi stock carburetor designed and engineered to fit all Yamaha Virago XV700, 750, 920, 1000, 1100 and V-Star using stock Hitachi carburetor. 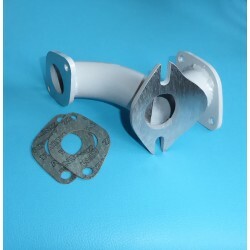 Now made in 6061 Aircraft Aluminum. 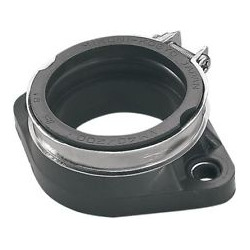 Fits most of carburetor holders with bolt holes distance between 60 mm to 76 mm. 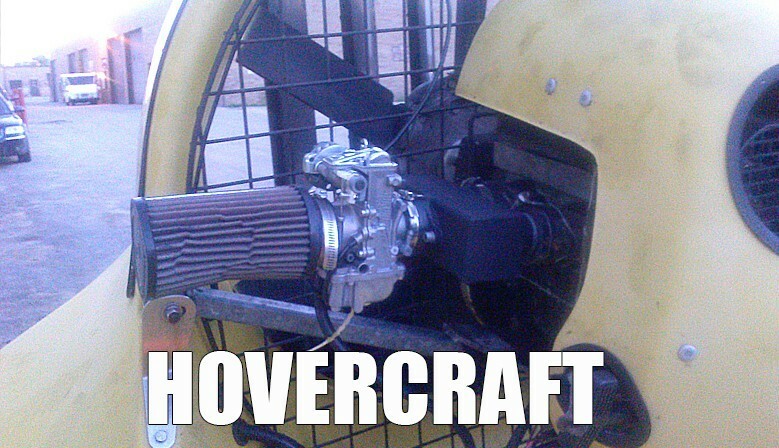 Conversion for Banshee to a 2 into 1 single carb set up this, perfect fit! 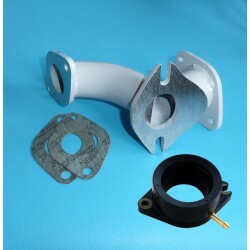 Fits most of carburetor holders with bolt holes distance between 60 mm to 76 mm. 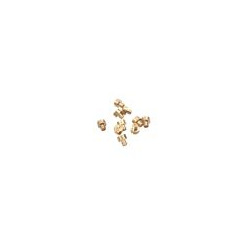 40mm single Carb. black. Composite Int. 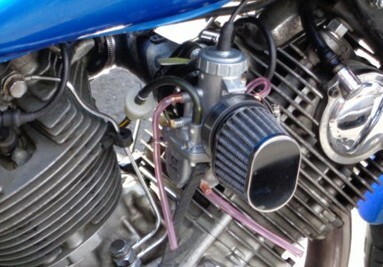 Manifold with single TM40 boot and a Mikuni TM40-6 Carburetor Designed to fit all Yamaha Virago XV700, 750, 920, 1000, 1100. 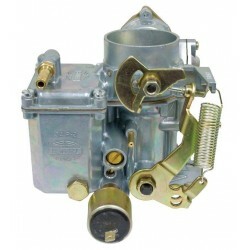 This larger TM40-6 Flat Slide Carburetor is best suited for Hi Performance racing performance. 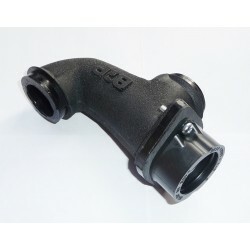 TM40-6 INTAKE BOOT WITH CLAMP TO USE THE MIKUNI TM40-6 CARB. 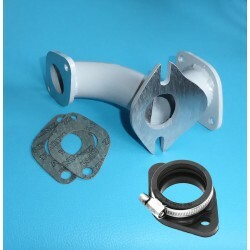 Aluminum 40mm OD (outer diameter) single carb manifold with single boot and a Mikuni VM30 Carb. 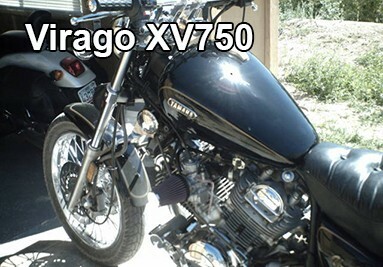 Designed to fit all Yamaha Virago XV700, 750, 920, 1000, 1100 and V-Star. 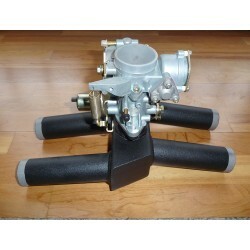 This Mikuni VM30 Carburetor will give the best balance of Gas Mileage and Performance. 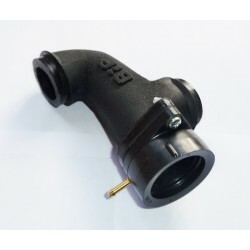 40mm OD (outer diameter) single carb Black Composite Intake manifold with single boot and Mikuni VM30 series Designed to fit all Yamaha Virago XV700, 750, 920, 1000, 1100 and will fit a V-Star but a Carb Extension may be needed for Gas Tank Clearance. 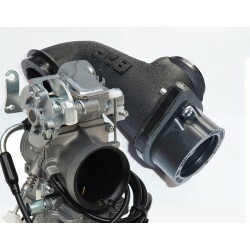 This Mikuni upgrade VM30 Carburetor will give the best balance of Gas Milage and performance. 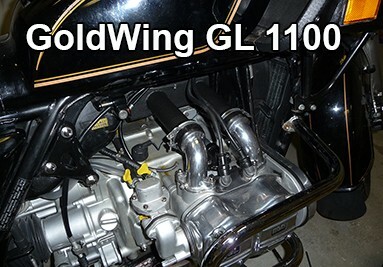 We build motorcycle performance parts, single carburetor intake nanifolds Yamaha Virago XV700-XV1100, Honda Goldwings GL1000 - GL1200 and custom manifolds for other models by your request. 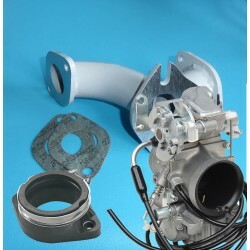 We rebuild all types of motorcycle, ATV, scooters carburetors. 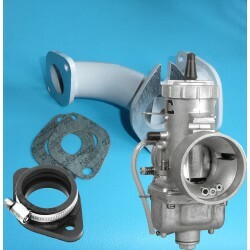 All our service have a warranty for 12 months. 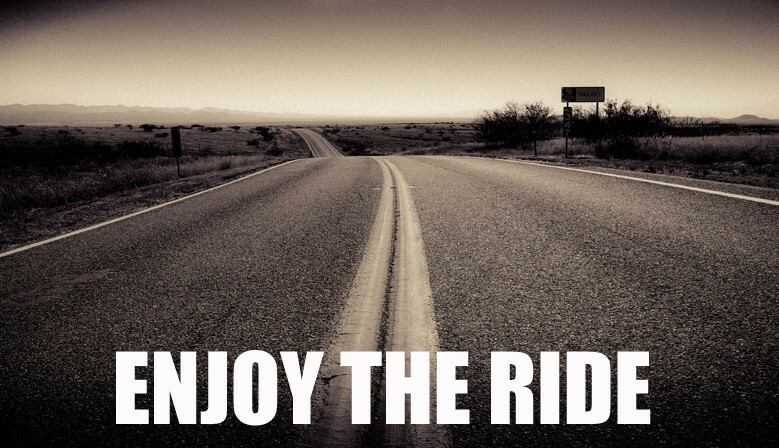 ****BiP will gladly guide you with choosing the correct manifold and or carb for your particular bike. We will not be held responsible for orders made for incorrect sizing. 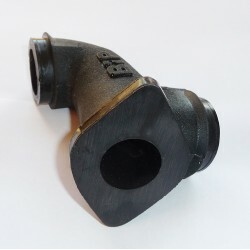 ****If you are unsure how to install the manifold and or carb after reading our Installation Guide, please take your BiP part(s) to a licensed or certified mechanic for install. 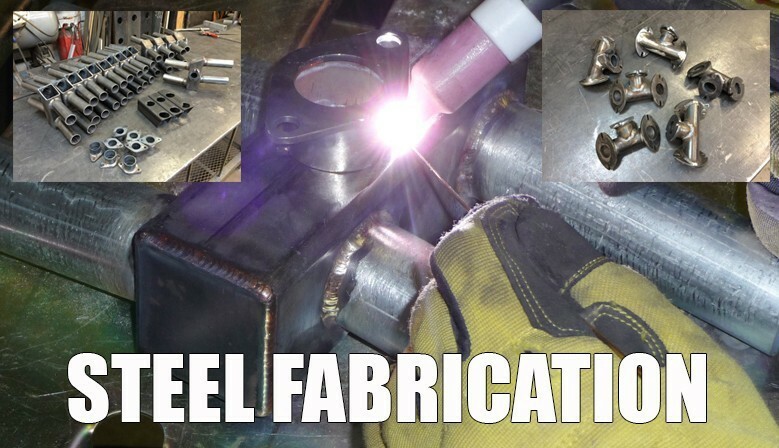 We cannot be held responsible for damaged product due to buyers lack of knowledge. 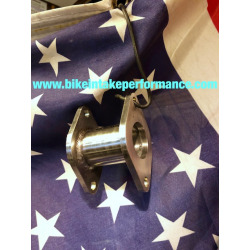 ****We do not accept returns due to buyers remorse, lack of understanding how to install, product damaged during installation or incorrect product purchased for your particular bike.  If you have any other reason for a return, please contact us. ****ASK QUESTIONS BEFORE YOU CLICK “AGREE TO BUY”. 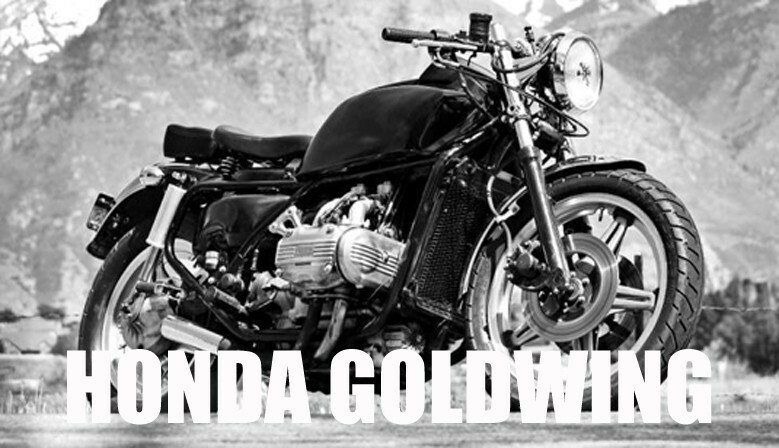 Seriously, for the love all that is good, email or call us with any questions. We want to help you have the best experience possible and that starts with you contacting us if there’s even a single thing you want to ask. There’s no such thing as a stupid question!